Decisions of the PCI (18.4.2019) Click here. If institutions wishes to make an appeal against the decision of PCI Click here. 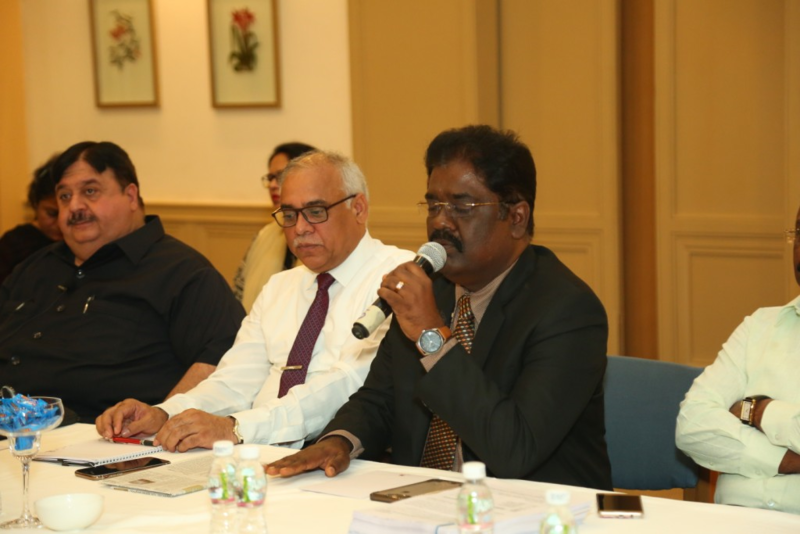 Decisions of the 106 CC meeting of the PCI held on 9th & 10th April, 2019 Click here. List of defaulter institutions which have not paid the affiliation fee. Click here. Reservation for Economically Weaker Sections (EWSs) for admission in Central Educational Institutions-regarding. Click here. List of defaulter institutions which have not paid the affiliation fee. Compliance of order of Hon'ble High Court of Delhi in the matter of Sh. Aditya Narayan Tiwari. Institution to refer to their Dash Board on Daily basis for PCI updates with regard to their online application submitted on PCI portal. Reservation for Economically Weaker Sections (EWSs) for admission in Central Educational Institutions-regarding. Contact numbers for enquiry and Queries. Annoucement on pharmacy exit examination. Advertisement for walk in interview for the position of receptionist (contractual). 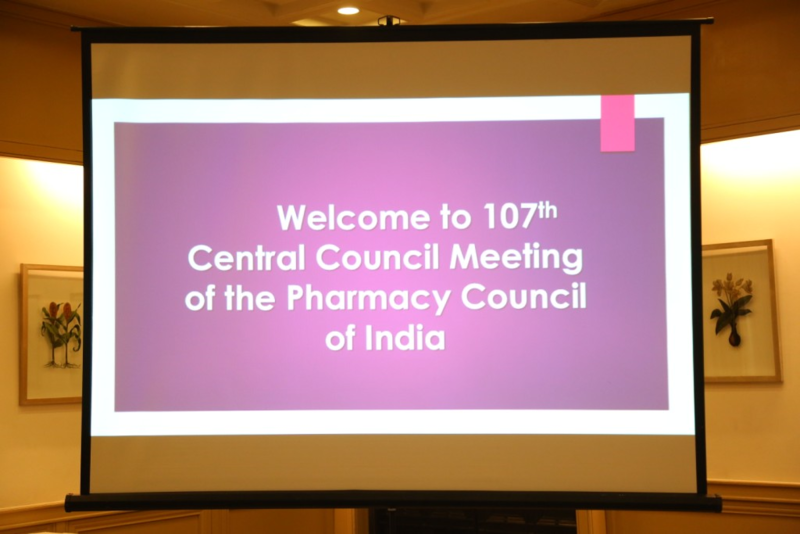 Annual Reports and Audited Statements of Pharmacy Council of India. Important Public Notice for new institutions / new course applying for approval for 2018-2019 academic session. Do you Know Your Pharmacist ? Pharmacists required for PMBJP to open Jan Aushadhi Stores or work in Jan Aushadhi Stores." Institution to apply to PCI for Continuing Education Program. No Person other than a Registered Pharmacist can dispense medicine-Court judgement. Important Public Notice for new institutions / new course applying for approval for 2018-2019 academic session.. List of Proposals received after cut-off date i.e. 31st August, 2017 for opening of new Pharmacy Colleges / Courses. Pharmacist Day Poster for 2017 - All Pharmacy colleges are requested to celebrate the Pharmacist Day and send report to PCI. Judgements dtd.3.7.2017 in C.A No. 8121/2004-Ranjan Sinha & Anr V/s Ajay Kumar Vishwa karma & Ors. and CA No. 8382/2017(arising out of SLP(Civil) No. 1963/2006)PCI V/s Dr.Atmaram Dariyani & Ors. Decision for starting the course from 2017-2018 academic session or prior to 2017-2018 academic session. Notice for General Public regarding Health Education Bureau, Jaipur (Rajasthan). State-wise and Course-wise applications received for approval of new pharmacy colleges for 2017-2018. To all colleges and State Pharmacy Councils- Pharmacis Day Poster 2016 for uploading on their website and circulation. Dir/Principal to verify faculty details. Prime Minister's Jan Aushadhi Yojna. Date of submission of SIF-E for M.Pharm course for 2017-18 is from 1st August to 31st August,2016. Those who have already submitted the SIF need not apply. The List of Institutions which have submitted SIF for approval of M.Pharm course & matter is under process. Regarding M.Pharm Course The last date for submission of application for SIF-E,i.e. M.Pharm course has been extended upto 31st March,2016 for 2016-2017 academic session only. Regarding B.Pharm (Practice) Course The last date for submission of application for SIF-BP,i.e. B.Pharm (Practice) course has been extended upto 31st March,2016 for 2016-2017 academic session only. The last date of submission of application for SIF-E i.e. M.Pharm Course has been extended upto 11th March 2016 for 2016-2017 academic session only. Frequently Asked Question (FAQ) on Master of Pharmacy (M.Pharm) course Regulations,2014. Regarding M.Pharm Course The last date for submission of application for M.Pharm course is extended upto 29.2.2016 for the academic year 2016-17. From the academic years 2017-18 onwards, the time-schedule for submission of application will be from 1st August to 31st August (both days inclusive) of the preceding year. Regarding B.Pharm (Practice) Course The last date for submission of application for B.Pharm (Practice) course is reviewed and fixed as 29.2.2016 for the academic year 2016-17. From the academic year 2017-18 onwards, the time-schedule for submission of applications will be from 1st August to 31st August (both days inclusive) of the preceding year as already notified. Applications invited for Master of Pharmacy(M.Pharm)Course. Applications invited for Bachelor of Pharmacy(Practice)Course. Format for approval of professional bodies under Regulation 4.2(iv) of the Pharmacy Practice Regulations, 2015. Clarification on Pharmacy Practice Regulations, 2015 notified by Pharmacy Council of India in Gazette of India No.17 dt.16.1.2015. Eligibility of Open School education system of the Central Govt. / State Govts. institutions for admission in Pharmacy courses for the purpose of registration as a Pharmacist under the Pharmacy Act, 1948. Another Opportunity to new D.Pharm or B.Pharm or D.Pharm & B.Pharm both Institutions." Gazette notification on "Pharmacy Practice Regulations,2015." Gazette notification on "Bachelor of Pharmacy (Practice) Regulations,2014." Gazette notification on "The Master of Pharmacy (M.Pharm) Course Regulations,2014" and "The Bachelor of Pharmacy (B.Pharm) Course Regulations,2014." 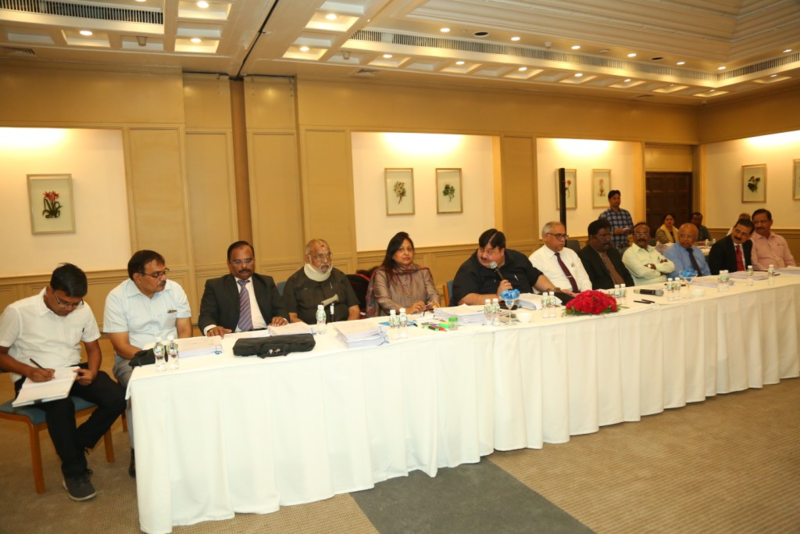 PCI delegation met the Hon'ble Health Minister. Gazette notification on "Minimum Qualification for Teachers in Pharmacy Institutions Regulations,2014." "Data on All India Survey of Higher Education." National Consumer Disputes Redressal Commission Order dtd. 6.7.2010 in Revision Petition No. 3926 of 2009 -Andhra University & Ors v/s Janjanam Jagedeesh regarding refund of fees in the event of withdrawl of a student from his college. "Writing material for 'Swasthaya Sandesh' booklet of Health Ministry". SWACHH BHARAT - SWASTH BHARAT. Pharmacist Day Poster for 2016. Institution to refer to their Dash Board on Daily basis for PCI updates.